I am sure that owning at least one designer bag in life is a dream for every woman. 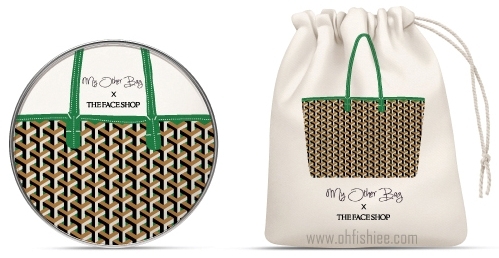 And now it's like a dream comes true with the introduction of “THE FACE SHOP x My Other Bag” Eco Collaboration: Limited Edition Cushions which come in 3 famous designer handbag prints! 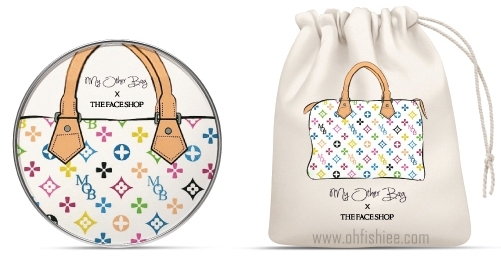 Collectible “It Bag” and skin expression all at once! The hand-printed premium canvas bag brand, “My Other Bag” from Los Angeles, has been very popular among Hollywood celebrities and overseas fashionistas. Currently it is an iconic fashion piece worldwide, time to get a hold of this too! Yay, I got my favourite cushion in Chanel bag design! 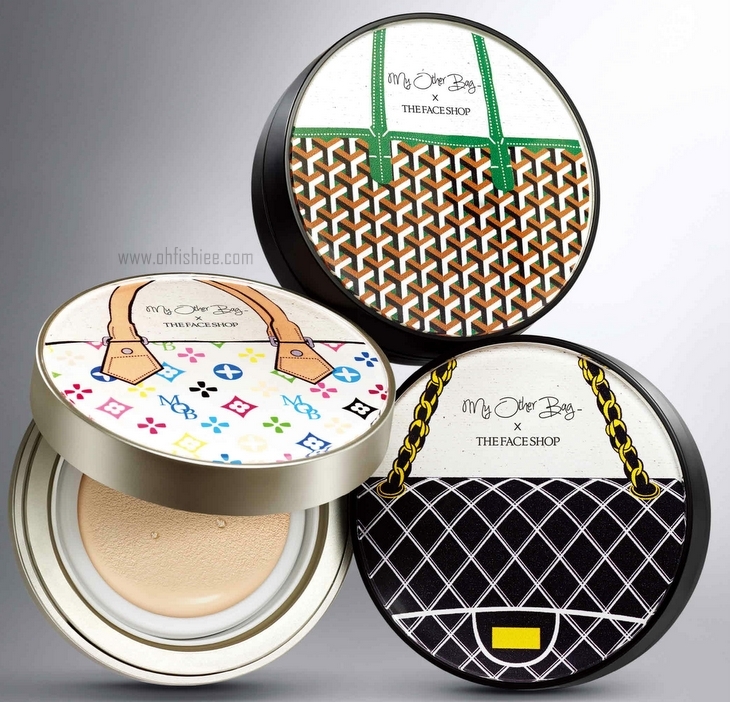 It comes with a set of the “It Bag” canvas pouch and CC Intense Cover Cushion which contains the color control function of CC Cream and Cushion’s moisturizing function. Suitable for those who want bright, clean and blemish-free skin. Express sebum-controlled matte skin, looking fresh all day long! For moisturized radiant skin with glowing effect and abundant moisture! Olive Radiance Moisturizing Hand Butter: Radiance, moisture and shine features. Shea Butter Moisturizing Hand Butter: Extra moisturizing with no sticky residue. Almond Long-Lasting Hand Butter: Longlasting hydrating function. Rosehip Seed Whitening Hand Butter: Brightening and UV protection of SPF20++. Jojoba Seed Anti-Aging Hand Butter: Firming, anti-aging and moisturizing. Latest in THEFACESHOP's stores this month is the series of rich nourishing and moisturizing Hand Butter that is specially formulated with extra functional hand-care features apart from the strong moisturizing function derived from the seed and nut ingredients. 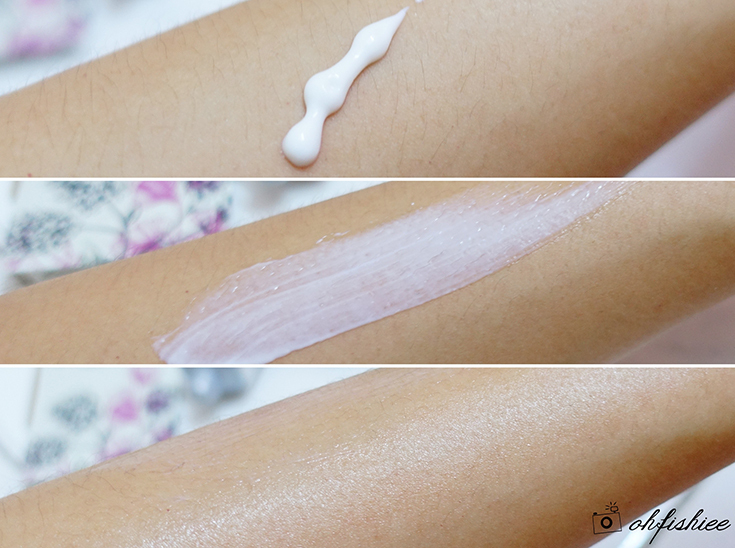 On the first application, it feels a tad rich for me, but as I blend it evenly, it is easily absorbed into the skin and hydrates the driest of skin without leaving any sticky residue. My favourite goes to the Rosehip Seed Whitening Hand Butter as it is not only moisturizing, but also offers good UV protection too. The fragrance is on the sweet side, but not overpowering and it’s the cream I need for a brighter complexion.